It’s been a very busy time for St. John Ambulance in Cork during the last few weeks, with a lot of time focused on the setting up of the Glanmire Unit. We wish them all the best with their new venture and hope it works out for them. Cork City Division will give them all the support they need, to make it on their own. 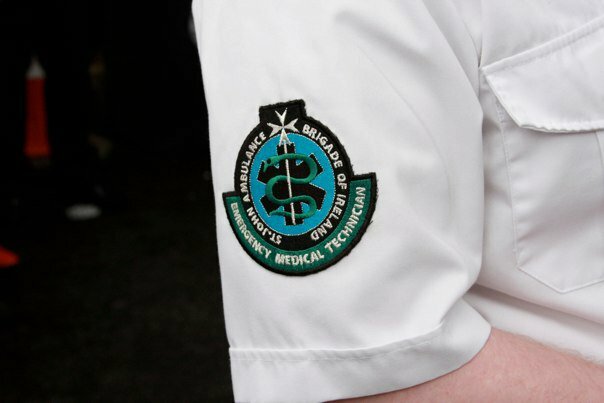 St. John Ambulance Brigade of Ireland recently became approved to use the 3rd Edition Clinical Practice Guidelines (CPG’s) from the Pre-Hospital Emergency Care Council (PHECC). PHECC is an independent statutory body with responsibility for standards in education and training in the field of pre-hospital emergency care. There are a number of voluntary organisations which operate ambulance services nationally, and St. John Ambulance is privileged to be among them. These services are generally used to provide pre-hospital emergency care at public events. They also provide a back-up service to the HSE for Major Emergencies. St. John Ambulance Brigade of Ireland is now approved with some of the best skills available to save the life of a person in need, allowing us to provide an excellent service at any event we are requested to attend. We have every level of care applicable to an organisation like us, and can provide first aiders, cardiac first responders, emergency first responders, emergency medical technicians, Paramedics and Advanced Paramedics at request. We thank our colleagues in the Training and Education section in Dublin, who we worked with to secure the accreditation to the 3rd Edition CPGs. Our Emergency Medical Technician (EMT) class of 2010/2011 recently received their PHECC registration, having completed their hospital placements. Our own Training and Education Department in Cork worked tirelessly to get the EMT students up to the required standard, and did so with flying colours. St. John Ambulance Cork have also been very busy signing on new members. Five new members have been signed on in the past few weeks, bringing the total membership to 66 people on the books. This is a fantastic achievement, and makes us one of the largest, if not the largest division in the country of Ireland. These are exciting time for St. John Ambulance in Cork and in Ireland. If you are in Cork and would like to join us in this time of transition, then please contact us using the button above. If you would like to enquire about first aid courses in Cork or Occupational First Aid Courses in Cork then please do get in contact with us using that button. If you are interested in other courses such as Defibrillator Training (AED) or perhaps a workplace first aid course, then we would be very happy to discuss options with you!